Since the inception of the How Being Trauma-Informed Improves Criminal Justice System Responses training in 2011, PRA and the GAINS Center staff have completed over 90 trauma training deliveries and train-the-trainer (TTT) events. Over 2,300 individuals have been trained by PRA/GAINS (and countless others through local deliveries following the TTTs), primarily through onsite training deliveries held around the country by our staff. In the past few years, it became evident that there was a desire and need for the trauma training in jurisdictions that may not have enough capacity to support a full onsite TTT. Thus, the train-the-trainer for individuals was born. 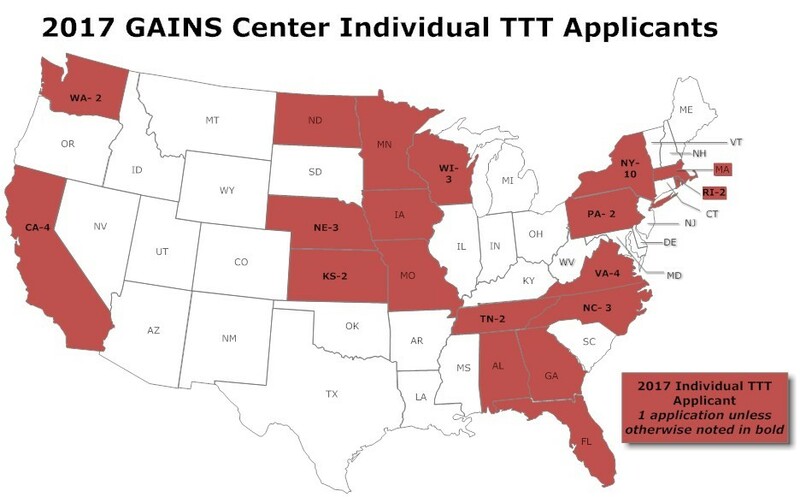 In each of the last two years, the GAINS Center has issued a national solicitation for a TTT event for individual trainers held at PRA. This year, following an overwhelming response, we trained 24 individuals (the absolute maximum that could fit in the conference room!). 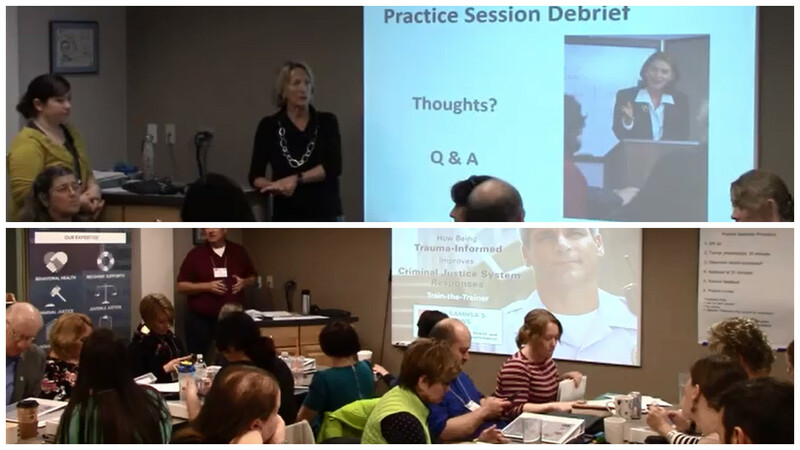 On March 28 and 29, 2017 the selected criminal justice and behavioral health professionals who attended the training increased their understanding of trauma, created an awareness of the impact of trauma on behavior, and developed trauma-informed responses on both individual and organizational levels. The new trainers then traveled back to their communities equipped to further carry out trauma-informed work!